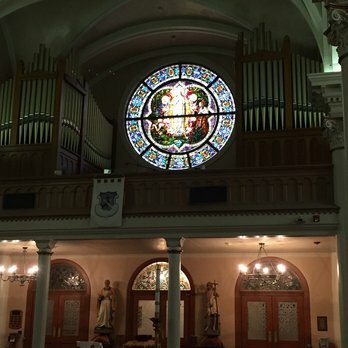 Saint Mary’s Basilica houses a very fine pipe organ built by the Schantz Organ Company. The organ consists of twenty-six ranks of pipes and was installed in 2012, following a major fundraising project to replace the temporary electronic organ which had been in place since the demise of the original 1918 Estey pipe organ in the mid 1980s. 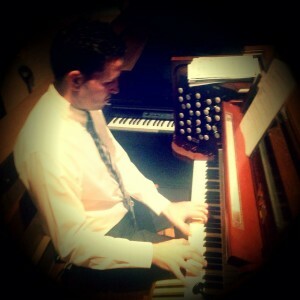 Our organ is much sought after by visiting organists and recitalists. Its principal function, however, is to enrich the sacred liturgy and to support the assembly in praise. The organ, therefore, plays a central role in all of the Basilica’s services in supporting the singing, accompanying the choir and providing sacred repertoire and liturgical improvisation. The instrument can be heard on weekdays at our 12.05 PM Mass and at all our weekend liturgies.